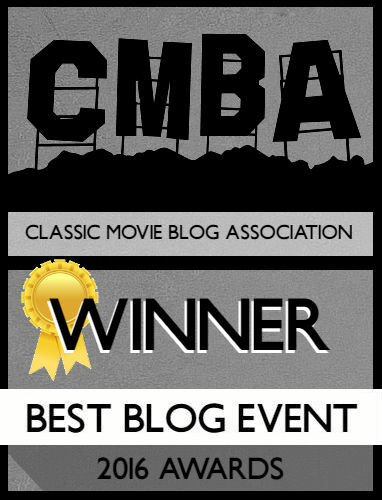 I was honored when Andy, head blogger of the Fandango Groovers Movie Blog invited me to participate in his My Movie Year blogathon. The blogathon celebrates each writer’s favorite year in film with their top 5 favorite films that came out during that time. I highly recommend you check out the other participants work at this link http://fandangogroovers.wordpress.com/2012/04/15/my-movie-year-3/. For my year I wanted to pick a year that had significance to me and I kept going back to the year where I discovered movies as an art form. I always got weird looks from my teachers in elementary school because of the films I watched. My parents didn’t let me watch Pulp Fiction at the age of 10 but they let me watch PG-13 films when I was about 9. Their belief, if I knew that movies weren’t real, then it was fine. When I hit sixth grade, movies took on a whole new world for me. Something just sparked in my brain and I started seeing films that weren’t what typical 11-year-olds were watching (and yes, I got shocked looks from the occasional office aid when I would recount my weekend trip to the movies). The five movies I picked are my favorite films to pull out and watch and while some I didn’t see during the actual time period, they all say something about me. My Movie Year: 1999! Brad Bird‘s The Iron Giant is a beautiful tale of a boy and his robot. Not only is this Bird’s first film before joining the ranks of PIXAR, but I cite this movie as one of the films that sparked my interest for classic film. In watching this you can see how Bird would be well-suited for PIXAR eventually. The Iron Giant is heartwarming but also expertly balances the action and sweet storytelling for children, with a smartly written story for adults. The movie is a solid throwback to 1950s sci-fi movies, well before it was cool, and there’s a lot of amazing moments culminating with a heart stopping moment when the government is prepared to nuclear bomb a town, creating one of those adult moments most PIXAR movies have. If you missed this movie in theaters like I did, go out and buy the DVD. It’s that good! Favorite Line: Darn, a perfectly good brain wasted! I know a lot of people cite director Alexander Payne‘s more recent films like Sideways and The Descendants, but my favorite has always been Election. I think Election resonates with me so much because I’ve met numerous people as depicted in this film during my high school tenure. The character of Tracy Flick, perfectly embodied by Reese Witherspoon (between this and Pleasantville, Witherspoon dominated my view of the 90s), is someone EVERYONE knows. She’s not just a perfectionist, she’s an obsessive, petty overachieving brown-noser who must be stopped before she starts running the government! At least that’s the view espoused by teacher Jim McAllister, played by a hilarious dour Matthew Broderick. Even Chris Klein is great as the dimwitted Paul Metzler. This is the film that epitomized high school for me as it humanized every character you meet and torn down the tropes of characters in most high school movies (this is a film that accurately shows the high school experience while ruining all the themes of a typical high school movie). Favorite Line: You can’t interfere with destiny. That’s why it’s destiny. And if you try to interfere, the same thing’s going to happen anyway, and you’ll just suffer. American Beauty was the first film that put me on the course of choosing 1999. I was 11 years old when I saw American Beauty and I’m not ashamed to say that. I don’t even remember why I wanted to see it, but after I left I loved everything about this movie and as an adult I still find something to love despite the backlash this movie receives. I think because I live in the world of the Burnhams. The suburbia depicted by Sam Mendes is pretty much my town. The imagery of the rose petals is a bit grating but I love the acting in this film. From the obsessive Carolyn (Annette Bening) to the man who kicks off the film Lester (Kevin Spacey). Even our plain teenage heroine Jane (Thora Birch) is a character I closely identified with as a teenager. I won’t get into a debate about the movie being overrated but I love this movie and the world it depicts. Favorite Line: You have no idea what I’m talking about, I’m sure. But don’t worry… you will someday. No, I didn’t see Boys Don’t Cry when I was 11, I saw it when I was about 15 for a film project. It’s one of the first movies that made me openly sob and I had to turn it off and reflect for a good 10 minutes after I watched it. No film had affected me quite like director Kimberly Pierce’s look at the tragic life story of Brandon Teena (perfectly played by Hilary Swank). I consider this one of those movies I recommend, but I don’t watch it for kicks. It’s not a film to be taken lightly but with our current times it’s oddly poignant. Favorite Line: I hate my life. I hate your life, too. We return full circle to the world of PIXAR. 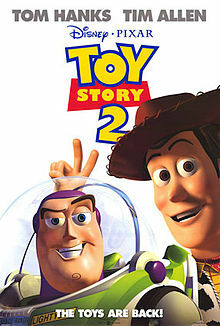 I didn’t actually see Toy Story 2 in theaters, gasp! I waited till DVD and was blown away by the artistry of this film. It was the first sequel I’d seen that effectively built and was better than its original. The movie is, much like The Iron Giant, a throwback to a previous era (this time the 50s world of the singing cowboy and television). It’s filled with hilarious one-liners, my favorite voice actress of all time Jodi Benson as the voice of Barbie, and who doesn’t cry during the “When Somebody Loved Me” sequence? Favorite Line: Let me guess. Andy’s a real special kid, and to him, you’re his buddy, his best friend, and when Andy plays with you it’s like… even though you’re not moving, you feel like you’re alive, because that’s how he sees you. 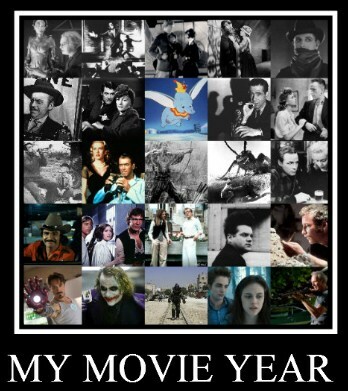 Interesting, we picked the same year but none of the same movies. Must have been a great year! Thatnks for taking part. Great minds definitely think alike. And while some say the 90s sucked the fact that so many people picked the 90s and found great movies shows that’s false! Happy to participate! I’m not very familiar with the movies from 1999. So, I really enjoyed reading your reviews. My favorite movie from your list is.. American Beauty . They’re definitely worth seeking out. American Beauty is fantastic and made me love films in general so it gets top marks but the rest are worth it too! Thanks for reading! Wow, some surprising choices for 1999. No Fight Club, no Magnolia, no Matrix. Cool top five. I definitely debated with myself on Fight Club and considering so many people who did 99 put it on their list I’m kind of happy to step out of the crowd. I sadly have not seen Magnolia yet (I know, for shame!) and while I liked the Matrix I didn’t LOVE it. Thanks for reading!!! I haven’t seen any of these (my God, I say that a lot when reading memes like this one), but still your choices sound good. Especially The Iron Giant, which I’ve never heard of before. 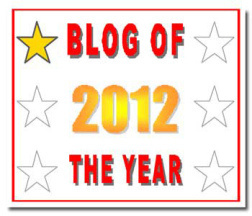 Thanks for the kind words on the blog. 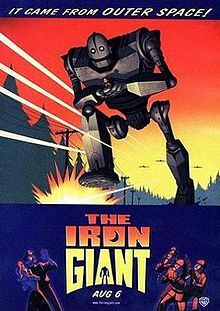 The Iron Giant is probably one of the best kids movies out there on par with PIXAR and I highly recommend it! It’s a shame that it floundered in theaters because it definitely was a smash pre-PIXAR. Great post! Having seen every one of these films, I have nothing more to add. You took the words right out of my mouth. Love that you included a favorite line from each movie. I did that with one of the films, I should’ve done it with all of them like you. I do love Toy Story, definitely one of the best movie trilogy of all time. I wished I had rewatched a few of them to have more genuine favorite lines, IMDB limited me on a few of them. Thanks for reading! 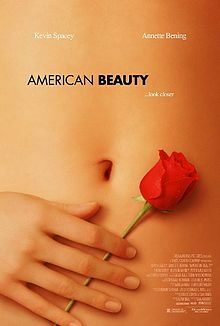 I think American Beauty was my favorite film of all time for a few years though it’s slipped a couple spots recently. I wish Kimberly Pierce would get more work, Stop Loss was a solid film in its own right. Though she is slated for a Carrie remake which wouldn’t be my pick but better than having her not making films. If I had to write out a list of my favorite movies of all time American Beauty wouldn’t be as high either, with every year my list constantly changes. Kimberly Pierce is one of many female directors I wish would get more work (up there with Mary Harron and Jamie Babbitt). I’ve been following the Carrie remake and I’m just not sure about it…I mean Hit Girl as Carrie? Considering I’ve eaten crow on the remakes of Footloose and Fright Night I’ll reserve judgement when it hits theaters. Thanks for reading!! Some great choices especially “The iron Giant” which alot of people can’t still belive is voiced by Vin Diesel, let alone adapted from the freaky novel by Ted Hughes. “Election” is a film I have only recently seen and it’s nice to see it on the list, as it’s a very underated black comedy and really suprises the audience frequently with the paths it takes. 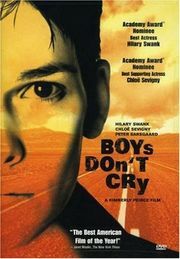 “Boy’s Don’t Cry” like you had me in tears and no doubt the reason I havn’t returned to it since, but again another underated movie. Still if I was going to be locked in a bunker with your movie year choices, I can’t say that I would complain about it, as all very solid selections. I didn’t believe it was Vin Diesel for awhile there although now that I know the man has a great voice for animation work (if those Fast and Furious movies finally dry up). Election is the forgotten Alexander Payne film in my opinion, hopefully with his recent Oscar nominations more people will see it. If anything it makes Reese Witherspoon cool! Thanks for reading!! Great year, great list. As much as I enjoyed Election, I’d probably swap out that title for Magnolia (Cooper’s right — do see that one immediately). Also that year… Being John Malkovich, Eyes Wide Shut, Notting Hill… what a GREAT year, indeed! The majority wins, I’m getting Magnolia and will have to give it a view. I totally forgot Being John Malkovich, I really need to rewatch that as well. Eyes Wide Shut is on my Netflix (I really need to have a Tom Cruise marathon lol) and Notting Hill….me and romance films are an iffy pair. Thanks for reading!! Ah, Election– great choice! I have always been a Jim McAllister type in a Tracy Flick kind of world, and Election struck a very deep, personal chord with me when I first saw it. Besides which, it’s very, very funny. 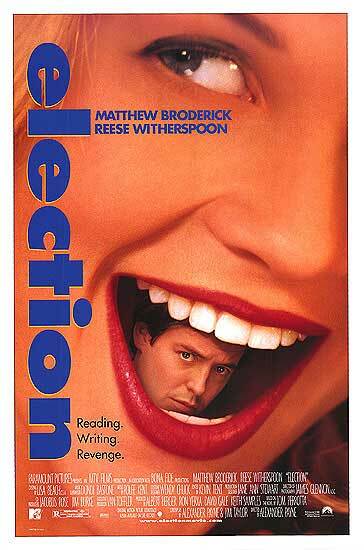 Election is easily one of Matthew Broderick’s best (and probably The best post-Ferris Bueller). I’ve known many a Tracy Flick where I live so I can easily see the Jim McAllister in me although I’d have to say I have my Tammy Metzler moments (the whole “f student government” scene is something I’d definitely have wanted to do in high school). Thanks for reading! Thanks and your 1995 list was awesome! I found your site courtosey of The Lamb. I like your picks and your style of writing . Will be checking back again soon. Thanks so much! By the way, loved your look at Heathers (one of the best 80s movies in my opinion)! So glad to see Election included here. That’s one of my favorite movies, and one that is unfortunately too often overlooked. Nice list! Election is definitely the forgotten Payne. Here’s hoping the recent acclaim for The Descendants forces more people to see it! You’ve convinced me . It was indeed a good year — better than recent ones. Glad to help. For me I went with a year I vividly remember as opposed to a recent discovery.